Rapper Post Malone is set to rock out with the Red Hot Chili Peppers at the 2019 Grammy Awards. 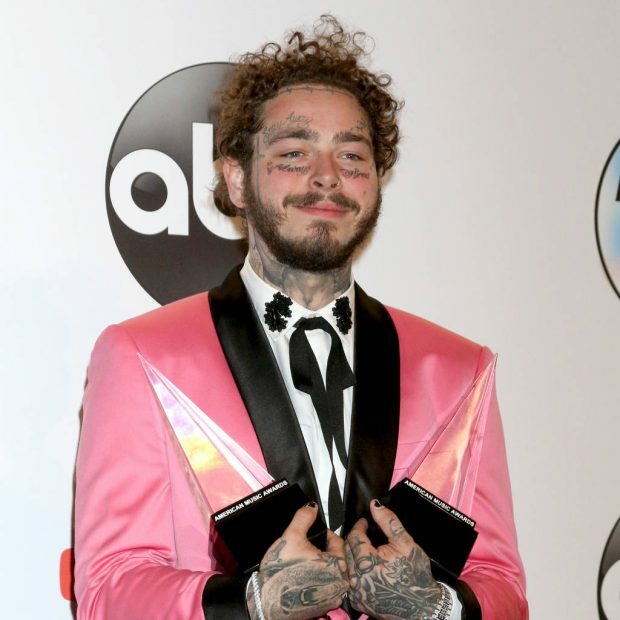 The two artists have been paired up to deliver a unique set at the Los Angeles ceremony, where Malone will compete for four prizes, including Record of the Year for Rockstar and Album of the Year for Beerbongs & Bentleys. Also joining the bill for music's biggest night are singers Miley Cyrus, Brandi Carlile, and H.E.R., along with previously announced acts including Cardi B, Shawn Mendes, Camila Cabello, Kacey Musgraves, and Janelle Monae. The 61st annual Grammy Awards, hosted by Alicia Keys, will take place on 10 February. Kendrick Lamar leads all nominees with eight, while Drake, Carlile, and Cardi B are also top contenders. Officials at the Recording Academy, the body behind the Grammys, are known for bringing unlikely acts together for special performances. Elton John famously collaborated with Eminem in 2001, Stevie Wonder and the Jonas Brothers shared the stage in 2009, the Foo Fighters united with dance DJ deadmau5 in 2012, and Kendrick Lamar worked with Imagine Dragons in 2014, and then with U2 and comedian Dave Chappelle last year. And it won't be Malone's first time performing with rock legends – he helped to wrap up the MTV Video Music Awards in August by joining Aerosmith for the show's finale. That set went so well, the rap sensation will be hitting the stage with frontman Steven Tyler and his bandmates at the Bud Light Super Bowl Music Fest in Atlanta, Georgia on 1 February, in the lead-up to the American football championship game between the New England Patriots and the Los Angeles Rams.